Award-winning photographer Grant Sheehan is based in New Zealand and for the past twenty years has travelled the world and his home country on photographic assignments. Over that time, his lens has been focused on architecture and travel, with numerous photo essays on places, people and wildlife, from Africa to Antarctica, as well as landscape and food photography. He has twice won the Cathay Pacific Travel Photographer of the Year award. He work has been exhibited widely and recent shows include Photo Synthesis, a collection of abstract photographs (2008) Antarctic Images in 2009 and his latest, Ghosts in the Landscape, a series of black and white images. 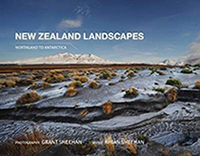 Grant’s photographs have been published in magazines and books, in New Zealand and around the world. 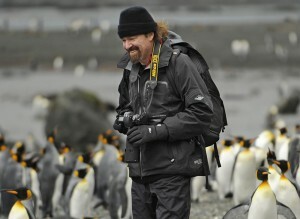 He has over 20 books to his name, including Landmarks, Notable Historic Buildings of New Zealand and the award-winning New Zealand Landscapes, Northland to Antarctica (winner of the 2011 Whitcoulls best travel book award), Planet Penguin, and the internationally successful A Place to Stay, Hotels of the World series. His latest book is Ghosts in the Landscape and an exhibition of photographs is following its release. For examples of Grant’s published work, visit Phantom House Books.